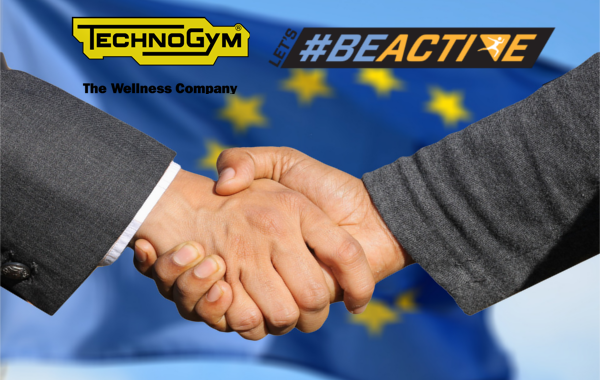 EuropeActive - the (leading) not-for-profit organization representing the whole of the European health and fitness sector - and the Let’s #BEACTIVE project partners are delighted to announce Technogym as the official technology supplier for the Let’s #BEACTIVE project. During its 3-year duration, the Let’s #BEACTIVE project aims to convert 60 000 inactive adults into becoming more physically active and in adopting healthy lifestyles. In addition, it will create an evidence-base by tracking the physical activity levels of the participants. Technogym’s support and advanced technology will prove invaluable in reaching these goals. Technogym, the world leading provider of wellness solutions, will support the Let’s #BEACTIVE project with its Mywellness platform supporting both end user to get more active and industry operators to provide a connected and personalized end user experience. On the end user side Technogym will develop a dedicated app, based on the Mywellness Platform, to motivate people to move more, every day, both at the gym and outdoor. Next to tracking the physical activity levels of the participants, the app will be used as a motivational tool sending push notifications to motivate people to become more active. On the operator side, Mywellness will allow club operators to deliver a complete journey from assessment to personalized program prescription, fostering customer satisfaction and retention. Technogym has always been at the forefront of digital innovation with a strong reputation in developing high quality digital products, such as the mywellness® app and Mywellness, the sole open platform in the industry allowing end users to enjoy a fully personalized experience (training program, data and content) both on the gym floor, during specific classes (cycling, rowing, heath rate and many others) and outdoors. Since its launch in 2012 Technogym’s Mywellness Platform has become the market reference for connected wellness and today features 14,000 connected fitness and wellness facilities around the world with more than 10 million users.